My post diary of a geonumpty to my main blog is really what got me started thinking about abstract geographic data. In it, I (with a lot of external help) develop queries to count points in areas with the same owner, and find points outside properties. 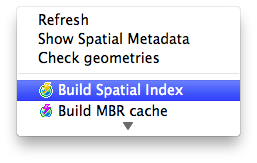 While most GIS applications work with delimited text inputs, sometimes you just have to have a shapefile. 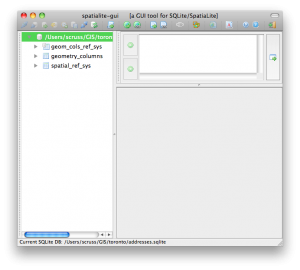 Amongst many other things, Frank Warmerdam wrote the Shapefile C Library, which comes with a few simple tools. 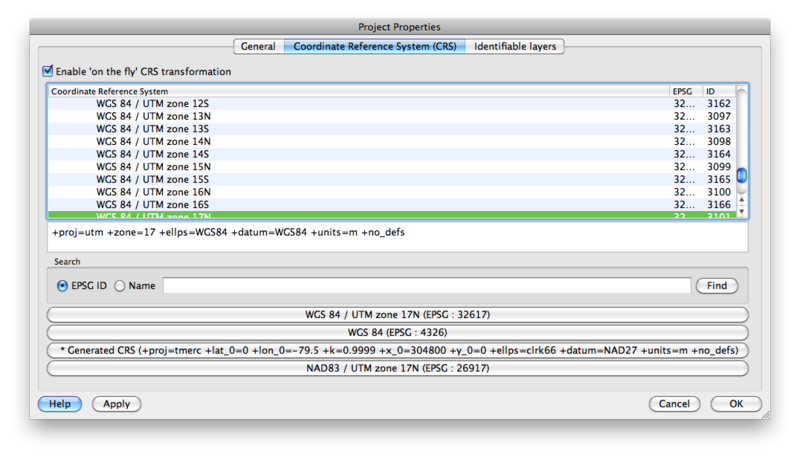 I suspect Frank meant the little utilities to be code samples that wouldn’t see much use, but they do the job. Let’s take the coordinates 43.73066°N, 79.26482°W from my first entry. 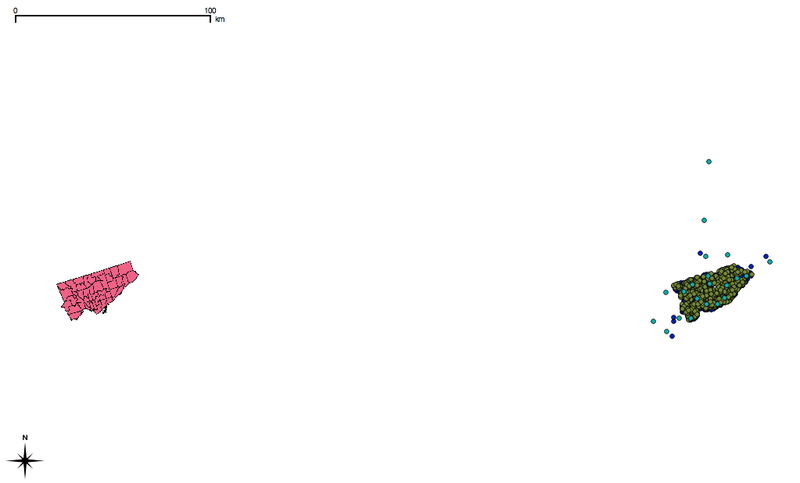 I will make a single point shapefile with this coordinate. 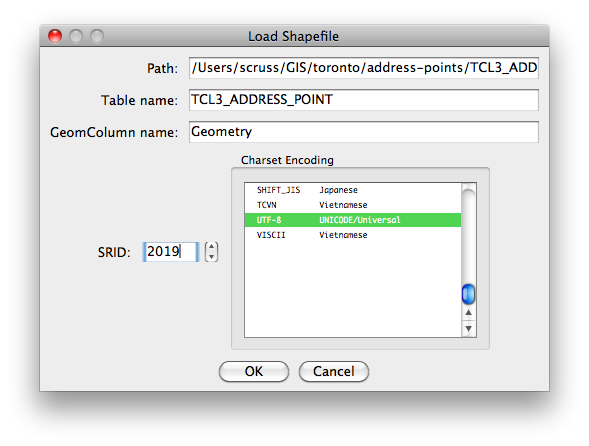 This makes an empty shapefile for storing points, with one string field ‘Name’ of width 16 characters. 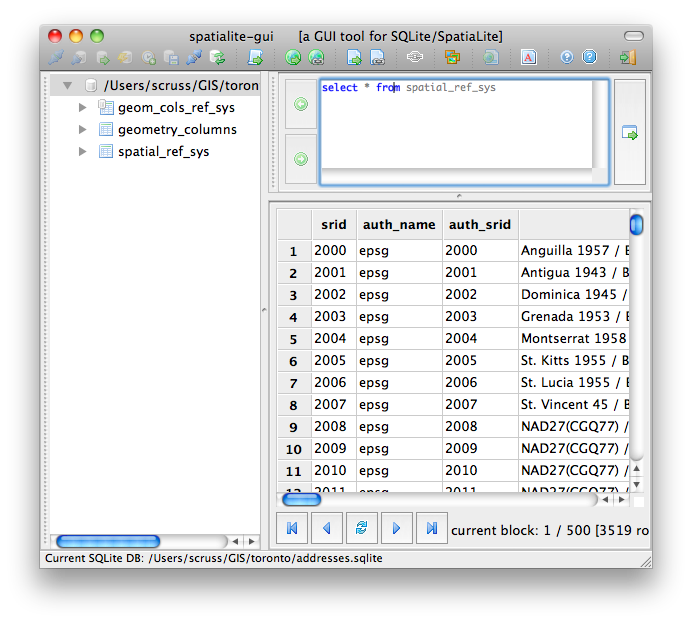 And that’s it – you’ve made a trivial shapefile. tale of two cities: coordinate reference systems, and what on earth is the maywood tot lot? 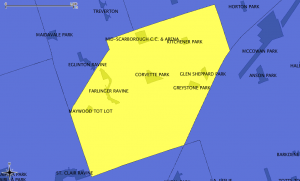 For reasons that are not particularly clear, the Toronto.ca|Open data is in two different coordinate reference systems (CRS), MTM 3 Degree Zone 10, NAD27 (EPSG 2019) and UTM 6 Degree Zone 17N NAD27 (EPSG 26717). 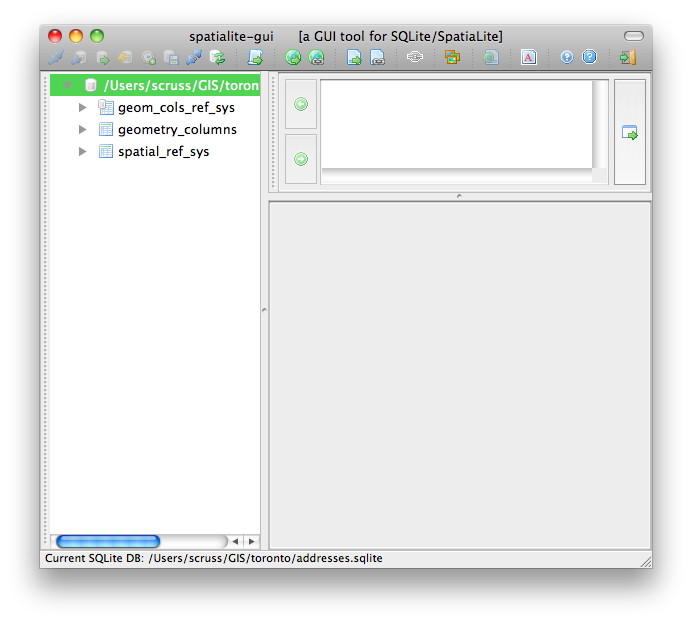 This confuses QGIS even if you’ve input the proper SRIDs into SpatiaLite. The image above shows two apparent Torontos, one in each of the CRSs. 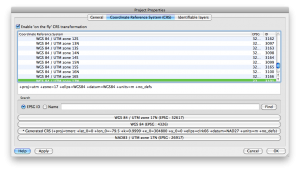 What you have to do is go to to the Project Properties, select the Coordinate Reference System (CRS) tab, and “Enable ‘on the fly’ CRS transformation”. This will line those city layers right back up. which returns a distance of over 314 km. That’s not right. So we need to transform the geometries to the same CRS. !!! NB: I might be doing the next bit wrong. CRS transformation is subtle. I’m not, particularly. The OGR Simple Feature Library is your friend. It can convert pretty much any geo format to another, and can transform coordinates between systems. In exchange for this power, it wants your soul is rather complex. 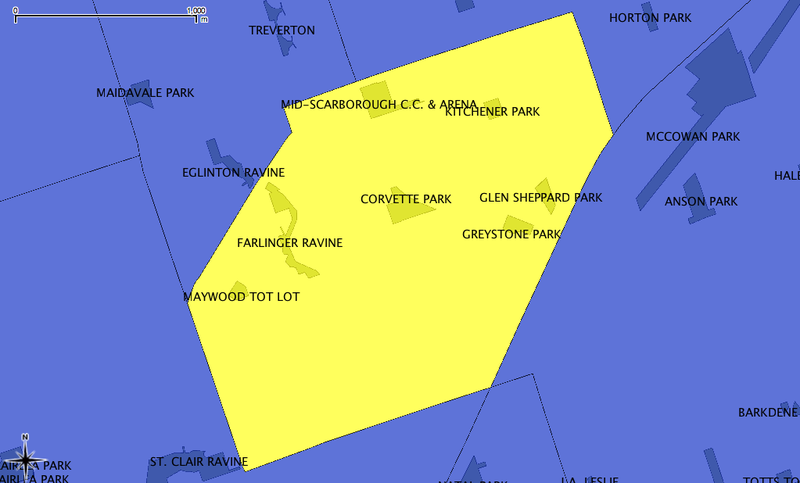 If we load the transformed shapefiles into Spatialite, and run that query again, it comes out with the correct distance: 0.0 km, as Corvette Park is in the Kennedy Park Neighbourhood. Now we can run a proper query: what parks are in Kennedy Park, and what are their areas? Me and Catherine are quite partial to libraries. I’m going to use the address points database we made yesterday to find the libraries within 2km of a given address. It’s not a very useful query, but it shows the very basics of searching by distance. fcode_desc – the type of the address. Most places don’t have this set, but here it’s ‘Library’. geometry – the description of the feature’s locus. This isn’t human readable, but can be viewed with the AsText() function. There’s one at zero distance, because 789 Yonge St is a library, so the search finds itself. Try any other address, and you wouldn’t get the zero. I’m pretty sure the 14 decimal places is overkill. I see that some of the libraries don’t have names. I’m pretty sure that the St George St ones are the UofT Library, and the McCaul St one is OCAD‘s, but the others, I can’t tell.